A Reformed Baptist's Disk: "Home of The BCF Assistant"
1) The First London Baptist Confession of Faith (2nd Edition,1646) including An Appendix to A Confession of Faith, written by Benjamin Cox. - Original 1677 Confession text. Judicious and Impartial Reader" from the 1677 text. authors included Pastors Sam Waldron and Greg Nichols, Grand Rapids, MI, USA). 3) The Children's "Prove It" Catechism: An Introduction to The Shorter Catechism: A Modest Revision for Baptists Today. This is a handy little tool that helps children to learn the catechism, along with the Scripture proofs. Last night I had the pleasure of being interviewed by Roderick Edwards for one of his Kingdom Commentaries. 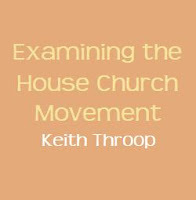 The primary focus of the interview was about the way in which many in the House-Church Movement are making requirements of certain practices that the Scriptures do not require. We discussed two of these requirements, meeting in homes and partaking of the Lord's Supper as a part of a larger meal, but for some reason failed to get to a third requirement, which is having completely open, spontaneous meetings with no one leading. We just didn't have time to get to every issue in a half hour, but I have addressed all three of these issues thus far in the series of articles I have been posting here. 1) With respect to meeting exclusively in homes, Steve Atkerson says in his article entitled Interactive Meetings, "In short, we believe that the patterns for church life evident in the New Testament are not merely descriptive, but are actually prescriptive (2Th 2:15 , 1Co 11:2). Thus, we believe in home-based and sized fellowships...."
2) With respect to having completely open meetings that are interactive and spontaneous, with no one leading, Steve Atkerson says in the same article, "Holding church meetings in this spontaneous, interactive manner is in fact declared to be imperative according to 1 Corinthians 14:37, 'If anybody thinks he is a prophet or spiritually gifted, let him acknowledge that what I am writing to you is the Lord’s command.' Thus, 1 Corinthians 14 is not merely descriptive of primitive church meetings. Rather, it is prescriptive of the way our Lord expects meetings of the whole church to be conducted." 3) With regard to eating the Lord's Supper as a part of a larger meal, in an article entitled The Lord's Supper - Feast or Famine?, Atkerson argues in the same way he has about the Apostolic tradition and meeting in homes: "Why would anyone want to depart from the way Christ and His apostles practiced the Lord’s Supper? The apostles clearly were pleased when churches held to their traditions (1Co 11:2) and even commanded that they do so (2Th 2:15 ). We have no authorization to deviate from it." 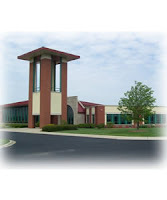 Mid-America Reformed Seminary has released a Doctrinal Testimony Regarding Recent Errors, a document in which the Board of Trustees and faculty declare that they "humbly but resolutely stand against the theological errors now current, propagated by certain teachings of what has become known as the Federal Vision, by certain teachings of what has become known as the New Perspective on Paul, and by certain teachings of other individuals and theological movements" (p.6). Although it is sad that only three of the Republican presidential candidates in a recent debate said that they do not believe in evolution, I still have to admit being surprised that there were that many. The most recent of Dr. Richard Belcher's Journey Series of theological novels should be of great help to many who are wondering about the debate over Calvinism versus Arminianism, especially for those Baptists unacquainted with the history of their own tradition. Arminianism! Calvinism! True Calvinism! Moderate Calvinism! Modified Calvinism! Hyper-Calvinism! These are all theological terms being used today to speak of various systems of theology. And one of the central issues of all of these systems seems to be the attempt to define the sovereignty of God in relationship to man in his fallen state, as one who still possesses a will. Is there any theological doctrine more difficult and problematical than dealing with the subject of the sovereignty of God in relationship to the will of man and its responsibility before God? Is man's will free or is it enslaved? If God is sovereign, then how can man be responsible? If man is free, then how can God be sovereign? This is the theme of the present journey book - God's sovereignty over all things. Ira Pointer and Dink find themselves in serious trouble at the seminary where they teach, because of this doctrine. They face the possible loss of their jobs, simply because the board of trustees and others do not understand these truths nor the doctrinal history of their own denomination.